Camellias have excellent value in the landscape, both for their evergreen glossy foliage and luxuriant blooms. As many plants finish for the season, Camellia ‘Cleopatra’ are just getting started. Native to Japan, the sasanqua species are often overshadowed by the more well known japonicas with their larger, showy flowers. Due to their durability, better cold tolerance and prolific blossoms, sasanquas deserve more attention. Blooming from September until a frost, the semi-double, medium to small blooms of Camellia ‘Cleopatra’ are a light pink with golden yellow stamens clustered in the center. With an upright, but compact growth habit, this evergreen makes a wonderful year-round structural anchor in mixed plantings and works as a hedge or container specimen. 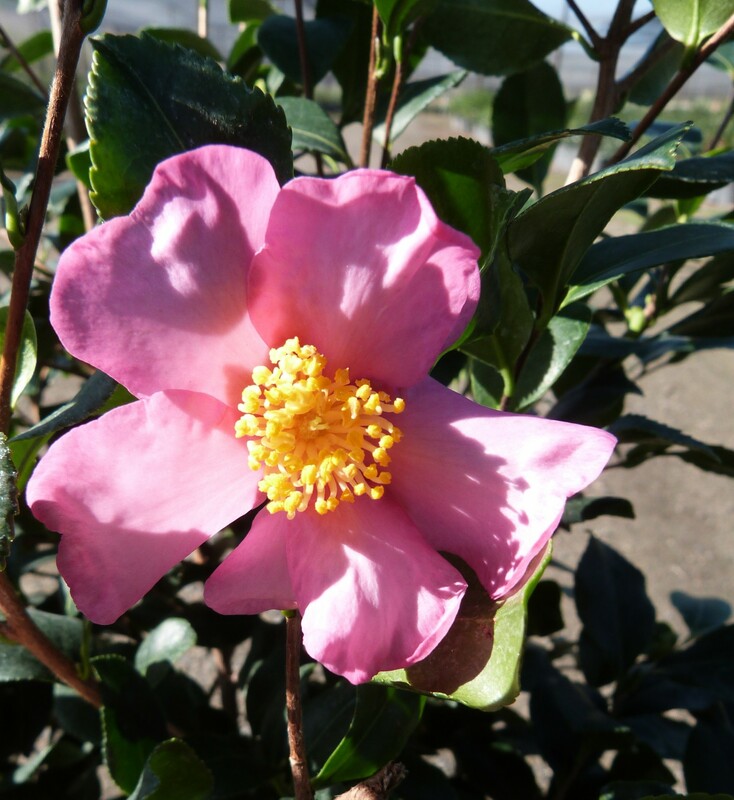 Slow growing Camellias perform best in bright to partial shade and well-drained, acidic soil. Lower the pH with elemental sulfur if soils are alkaline. Water deeply as needed to develop a strong root system and protect the surface roots by mulching. With proper care, occasional fertilization and good drainage, sasanquas suffer few pest or disease problems.